They mostly develop on the feet – on the tops and sides of the toes, and sometimes between the toes. Read on to know how to get rid of corns on feet. The thick, rough and hard bumps on the skin are often painful when pressing on them. They can cause great discomfort while standing or walking and can also lead to cracked heels. Eliminating the source of pressure and friction is the most important step in treating corns. Once the source of friction is gone, you can proceed to remove the corn. There are over-the-counter medicines and padding that you buy to deal with corns. However, it is better to use natural remedies to eliminate the corns and nourish your skin at the same time. Here are four simple natural treatments to help you get rid of corns on feet. 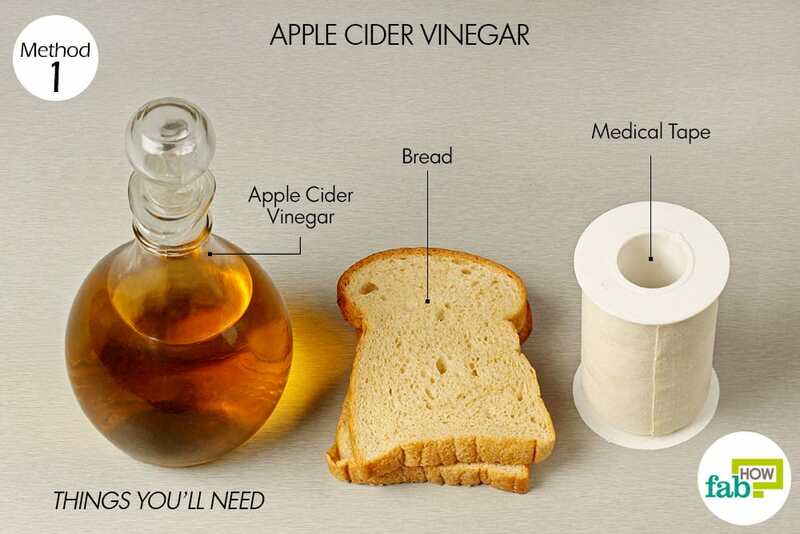 The piece of bread is mostly a means of applying the apple cider vinegar. 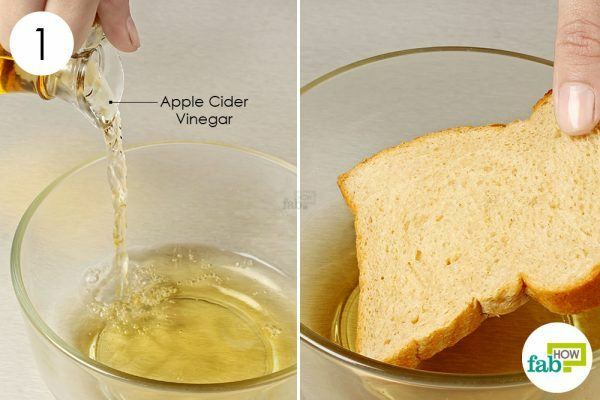 Drop in a slice of bread and let it soak for 2 minutes. Place a small portion of the soaked bread directly on the corn. Wrap and secure it with an adhesive or medical tape. 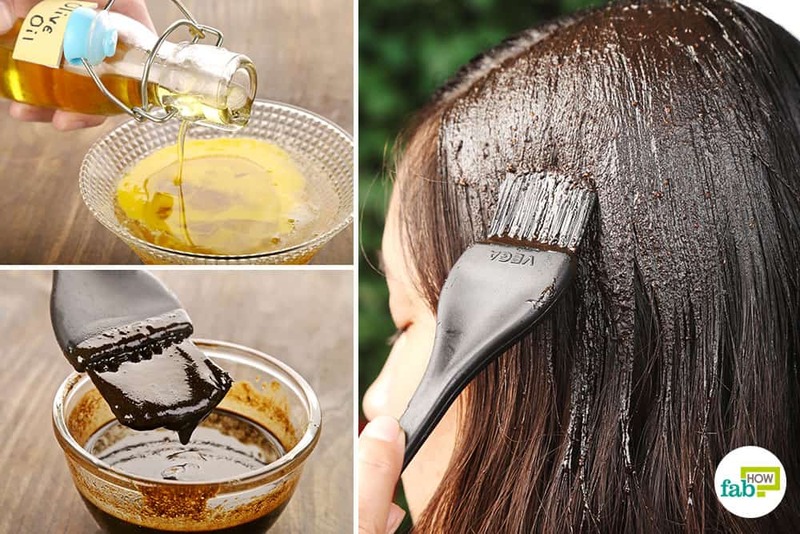 The next morning, remove it and rinse the area thoroughly. Repeat once each day until the corn completely disappears. Apple cider vinegar should give speedy relief from corns within a week or after just 3 to 4 days. Massage the corn and the nearby area with a pumice stone to exfoliate and remove the dead skin, thus reducing pain and speeding up recovery. Fill a tub or a basin with comfortably hot water. Soak the foot with the corn in the water for 15 to 20 minutes. This will soften the corn. Gently rub a pumice stone back and forth across the corn. Do this for 5 minutes, scraping off as much of the softened corn as possible. Massage a generous amount of moisturizing lotion all over your foot and especially on the corn. Put on socks to protect your skin from further friction. Repeat once every day for 1 to 2 weeks or until the corn is completely gone. Alternatively, you can also bandage the area after moisturizing and secure it overnight. 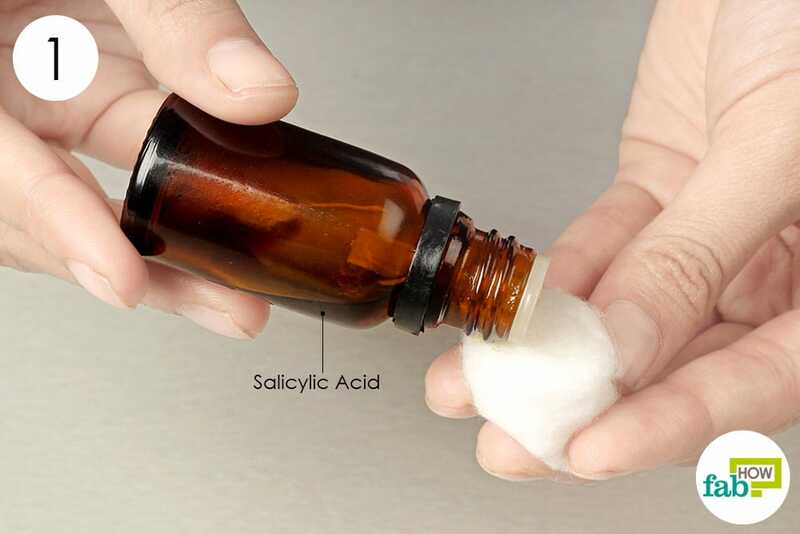 Squirt some salicylic acid on a cotton ball. Place the soaked cotton ball on the corn. Secure it in place with an adhesive or medical tape. Leave it on overnight, then remove it the next morning. Repeat once each day for 1 week to see effective results. Note: Salicylic acid can sometimes damage the skin around corn. You can spread petroleum jelly on the skin surrounding the corn to protect it from the acid. Place the corn cap directly over the corn. Secure it in place and leave it on overnight. The next morning, gently remove the softened skin of the corn without much pressure. If there is any hanging piece of skin, grab a nail cutter to remove it. Repeat daily till the hard skin is completely removed. You may get relief within 1 or 2 days, but you can keep up with the remedy for up to 1 week if required. Do not cut or shave the corns, as this can increase the chances of infection. 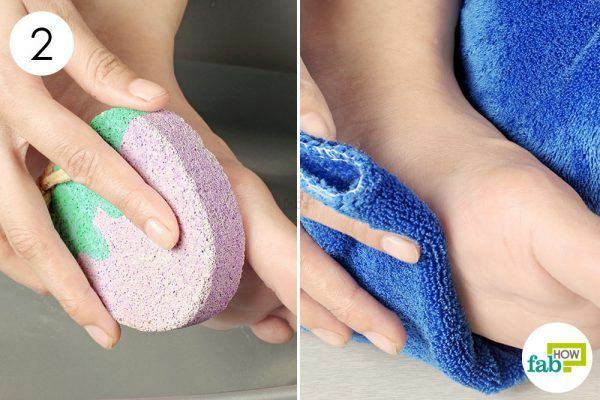 Trim your toenails periodically. Excessively long toenails cause the toe joint to push against your shoe and can result in corns. If you notice a corn developing, soak your feet in an Epsom salt bath followed with a good moisturizer. Keep your feet clean and dry. Apply talcum powder to keep away excess moisture. If you have soft corns on the sides of your toes, place pieces of cotton between your toes to ease the irritation. Apply petroleum jelly on your feet where you notice the most friction to prevent corns. Always choose shoes with a perfect and comfortable fit. Also, shoes made of genuine leather that breathe and allow air to flow near the feet are good choices. To decrease friction and pressure on the skin, use protective coverings or pads over the corns. Aboud AMA. Corns. StatPearls. https://www.ncbi.nlm.nih.gov/books/NBK470374/. Published October 27, 2018. Yagnik D, Serafin V, Shah AJ. Antimicrobial activity of apple cider vinegar against Escherichia coli, Staphylococcus aureus, and Candida albicans; downregulating cytokine and microbial protein expression. Scientific Reports. https://www.ncbi.nlm.nih.gov/pmc/articles/PMC5788933/. Published 2018. Gopal J, Anthonydhason V, Muthu M, et al. Authenticating apple cider vinegar's home remedy claims: antibacterial, antifungal, antiviral properties and cytotoxicity aspect. Natural Product Research. https://www.ncbi.nlm.nih.gov/pubmed/29224370. Published December 2017. Bernstein RK. Reducing Foot Wounds in Diabetes. Diabetes Care. http://care.diabetesjournals.org/content/36/4/e48. Published April 2013. Farndon LJ, Vernon W, Walters SJ, et al. The effectiveness of salicylic acid plasters compared with 'usual' scalpel debridement of corns: a randomised controlled trial. Journal of Foot and Ankle Research. https://www.ncbi.nlm.nih.gov/pubmed/24063387. Published September 24, 2013.